If you are new to hunting and are looking for some important gears that can help with your hunting adventure, then you have come to the right place. In this guide on hunting gears, we will be discussing the importance and the different types of hunting gears, the importance of having the right kind of hunting boots, clothes, backpacks, accessories and more. Please continue reading to find out more on this topic. Why use Hunting Gears? What to Wear during Hunting? Hunting is an act of killing or trapping any animals for the purpose of either fun, sport, money or to kill predators that pose a danger to human beings or other animals. Hunting is totally different from poaching, where the latter is all about killing endangered animals. Hunting is permitted in many states as long as it stays within the guidelines of the law imposed by the state. Hunting doesn’t always mean to kill animals, but it also refers to tracking down and trapping dangerous animals that pose a danger to the human society. Hunting gears are accessories like boots, pants, backpacks, binoculars, decoys, guns and other tools that may help you to a great extent in coming up with a successful hunt. Even though having all these kind of gears still won’t guarantee you with a fruitful hunting, it is only your skill, precision and timing that makes for the perfect hunt. But still, these accessories will surely assist you in the hunting process in a great way. With all the necessary gears at your disposal, you can focus all your energy and time to look for only the prey and leave all your worries behind on the aspect of food, shelter or any other kind of issues that will hamper your hunting expedition. When it comes to hunting, one of the most important factor is to have the right kind of hunting boots. You will never know what kind of terrain you may be walking to during hunting and having the best hunting boots will make it all the more easier with your hunting ambitions. Upland Hunting Boots: This type of boot is ideal for hunters who go hunting upland for birds like quails and grouse. And since the terrain is flat and mostly grassy, these kind of boots suits them to go hunting easily. Click here to find out why hunters love Irish Setter boots. Mountain hunting boots: These type of boots are specially made for people hunting in mountainous regions for elk and bears and these boots offer more stability and support. Check out Kenetrek Men's Mountain Extreme 400 Hunting Boots. Snake Boots: These boots come with a high collar that extend upto your knees to offer maximum protection for your legs from snake bites, insect bites etc. Rubber hunting boots: While hunting in marshlands and muddy areas the rubber boots are the ideal choice. Check out the review of LaCrosse Men's Alphaburly Pro here. For Waterproof hunting boots, check out Irish Setter Men's 2870 Vaprtrek. It is always important to keep and maintain your hunting boots in order to last longer. 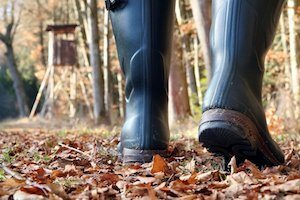 Find out how should you clean your hunting boots here. 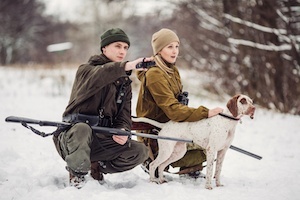 Wearing the proper clothing while hunting can be a significant difference as it provides you with the safety and also contributes to the success of your hunt. If you don’t consider the weather and take the right kind of clothing during hunting, then you may end up feeling miserable. For example, if you are hunting in a cold environment, you may need clothing that keeps you warm. Without the right clothing, you may feel cold inside. This will lead to shivering and hence you will not be able to take a proper aim for your shot. It is always better to select clothing that always keeps you dry and warm and also controls the scent to some extent. 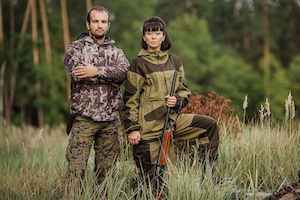 The different types of hunting clothing includes camo hunting shirts and pants, hunting jackets & vests, hunting hats, hunting socks and glasses, cold-weather clothing, camo rainwear etc. 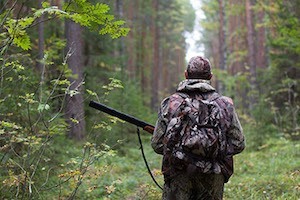 Check out what's our verdicts on the Best Hunting Clothing. Hunting requires you to carry lots of tools, accessories and food items. Without the proper kind of backpack, you can’t be able to easily carry them along during your hunting expeditions. The best hunting backpacks provide you with portability and durability. It should also allow you to carry additional items and provide a separate storage area for different items. Some backpacks also allows you to be able to traverse to all kinds of terrain without feeling the kind of load in your back. 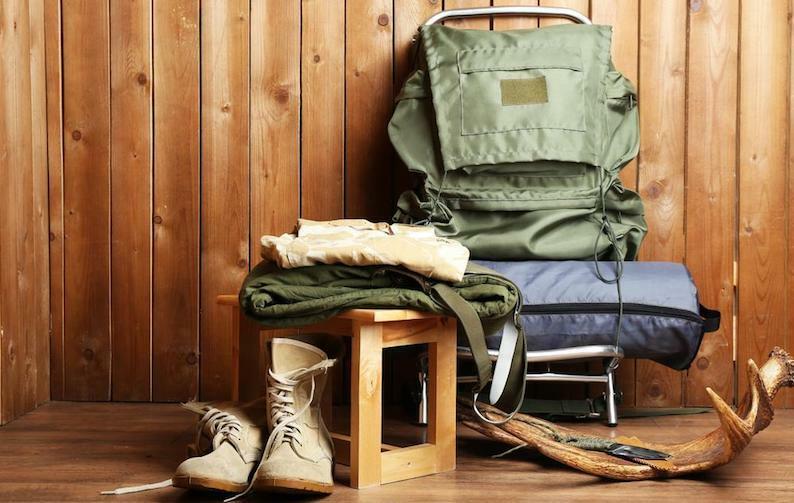 While there are many types of backpacks available in the market in terms of design and materials, it is always better to choose the backpack based on your kind of hunting and the number of items you need to carry. When you are going for hunting, besides the proper hunting clothing, boots and backpacks, the last important thing that will assist you in your hunting are the hunting accessories like decoys, belts, holsters, optics and tree stands. These kind of accessories could come handy in various situations while you are hunting. For example, hunting from above a tree. A tree stand could prove to be vital as it could help in increasing your accuracy to make for that perfect shot.